A sparklingly original artist who perfectly captures the glamour of the 1950s and 60s, Lola Lamour is a reminder that they don’t make them like they used to. Lola and her band the Lamours remind us of a bygone era when big band music dominated the musical landscape, placing the spirit of those party years into the modern world. With her latest EP ‘Looking for Love’ already causing a stir, Lola Lamour is now ready for the release of her new single, ‘A Little of What You Fancy’ – a striking, upbeat number which can’t fail to get those shoes shuffling. 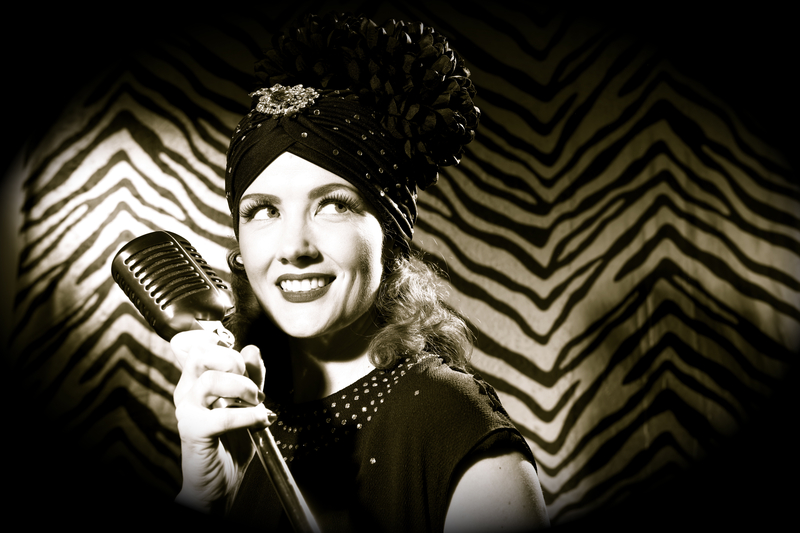 With mainstream stars such as Michael Buble, Robbie Williams, Olly Murs and Si Cranstoun already finding success by drawing on swing and big band influences, Lola Lamour is a singer-songwriter who takes that devotion to the next level. Having grown up surrounded by the music of Peggy Lee, Doris Day and their contemporaries, Lola wanted to bring back their legacy and see it continued in the modern world through her own songs. It’s an ambition which has seen the band become a hot property on the vintage circuit, touring throughout the UK and Europe and playing huge stages to packed crowds. The next step is to cross over into the mainstream, and with high tempo, top quality tunes like ‘A Little of What You Fancy’ it can only be a matter of time. They’ve already had appearances, coverage and praise from the likes of the Daily Mail, the Telegraph, Radio 4’s Woman’s Hour, Radio 2, GMTV and countless other outlets, and as that list grows so does the profile of Lola Lamour and her band.